Teeth grinding, also known as bruxism, is a condition in which you grind and /or clench your teeth together. Many of us unknowingly grind or clench our teeth during sleep. Depending on the suspected underlying cause, teeth grinding and/or teeth clenching may be considered pathologic. What is the difference between teeth grinding and teeth clenching? Teeth grinding and teeth clenching are both forms of a medical condition called bruxism. Teeth Grinding is when a person’s jaw movements move side to side, or forwards and backwards while held together. These movements are audible to a sleeping partner. Teeth clenching is when a person’s jaws are held tightly together with increased pressure as if they’re biting down real hard. Teeth clenching is not audible. Who is susceptible to bruxism? Teeth grinding impacts people of all ages. In fact, several sources estimate as many as 80% of us have a history of teeth grinding and/or clenching of our teeth. 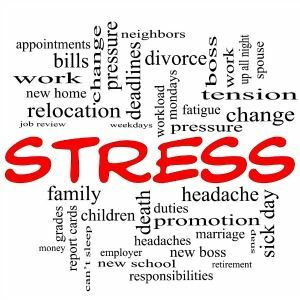 While the cause of teeth grinding is not known for sure, much of the research to date indicates stress is likely the biggest contributing factor that causes us to grind and or clench our teeth. What are the side effects of teeth grinding? The effects of teeth grinding vary among people. The picture above highlights a moderate case of teeth grinding. 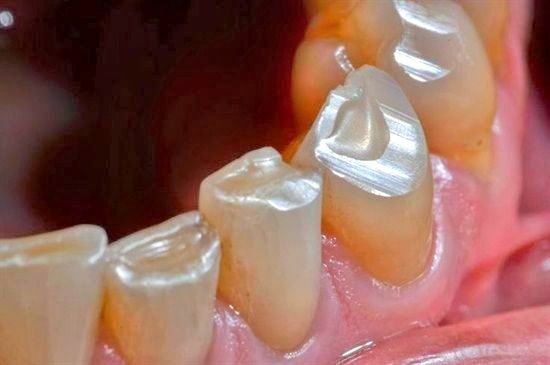 This edges of this person’s teeth appear severely worn, uneven, and shorter than adjacent teeth. Symptoms vary widely among people diagnosed with bruxism. Frequency and intensity are two variables that impact your symptoms. If you or a loved one is experiencing any of the above symptoms for more than two (2) weeks, it is best to schedule a exam with your dentist. 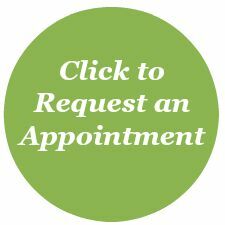 Call (763) 586-9988 or click the green button below to request an appointment. ***It not uncommon for toddlers, kids, and teenagers to grind and/or clench their teeth during growth and development. 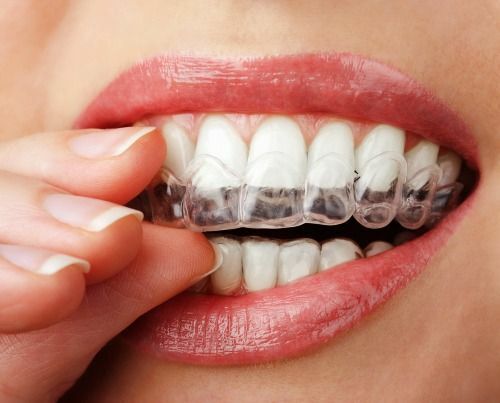 If your dentist suspects or finds evidence of bruxism, they’ll recommend to wear a bruxism mouthguard during sleep. Additionally, they will discuss various home remedies for you to try. The fabrication of a bruxism mouthguard requires two, short dental visits. your dentist will review with you when and how frequently to wear your mouthguard. Generally speaking, our dentists recommend for you to wear your mouthguard nightly during sleep. With use, your teeth mouthguard will accumulate and harbor plaque from being worn overnight in your mouth. Soak your mouthguard after use in a glass of cool temperature water with a denture cleaning tablet (for purchase in the dental aisle) for about 20 minutes. Afterwards, use a toothbrush to clean mouthguard and rinse with cool water. Avoid using hot water. This will distort and alter the fit of your mouthguard. While mouthguard is soaking, wash storage container with soapy water and dry thoroughly to prevent bacterial growth. Keep mouthguard in storage case until next use. Store mouthguard in storage case out of reach from children and pets. ***Bring your mouthguard with to your teeth cleaning appointments. Your dental hygienist will professionally clean, inspect your mouthguard for wear, and check the fit for retention.